Vodafone has struck an £8.4 billion deal to merge its Australian operations with a rival and create a powerful new player. It said the tie-up with TPG Telecom would help it take on bigger rivals Telstra and Optus. Vodafone Australia, jointly owned by Hong Kong-based CK Hutchison and Vodafone Group, will take a majority 50.1 per cent stake in the merged group – to be called TPG Telecom Limited – and TPG will hold on to the remaining 49.9 per cent. The new company will be listed on the Australian Securities Exchange and have combined revenues of more than £3.4 billion. Vodafone and TPG said that the deal would allow them to cut out duplicated costs and make savings across a bigger network. 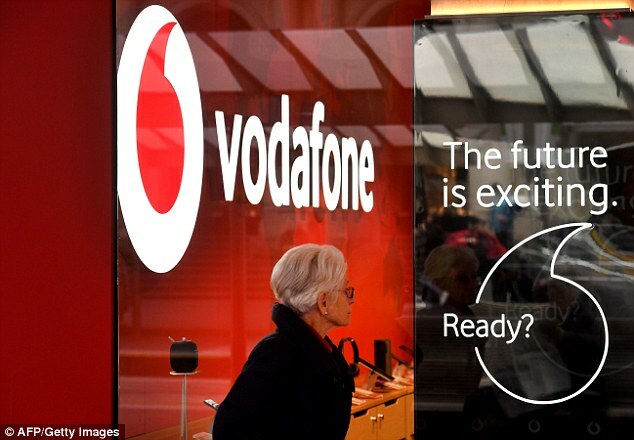 Nick Read, the group finance chief of Vodafone who will become chief executive in October, said: ‘This transaction accelerates Vodafone’s converged communications strategy in Australia and is consistent with our proactive approach to enhance the value of our portfolio of businesses. It is expected the merger will complete in 2019, if it receives backing from regulators and shareholders. The combined Australian company will be headed by TPG boss David Teoh as chairman. Inaki Berroeta will be chief executive. The deal comes as Vodafone is also merging its Indian operations with Idea Cellular.